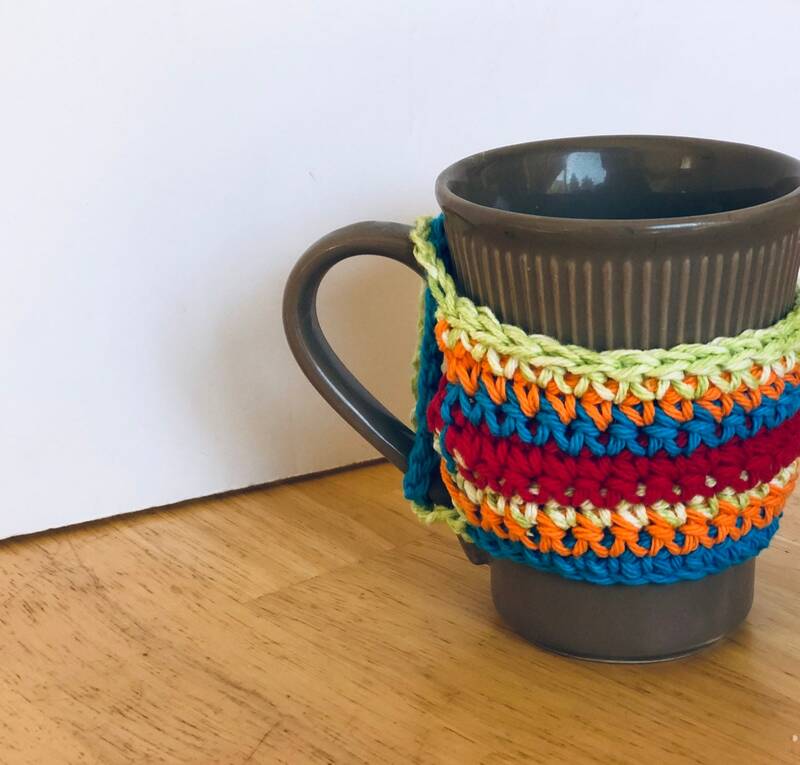 This Cup Cozy, Reusable Coffee Cozy is great for your coffee or tea cups. 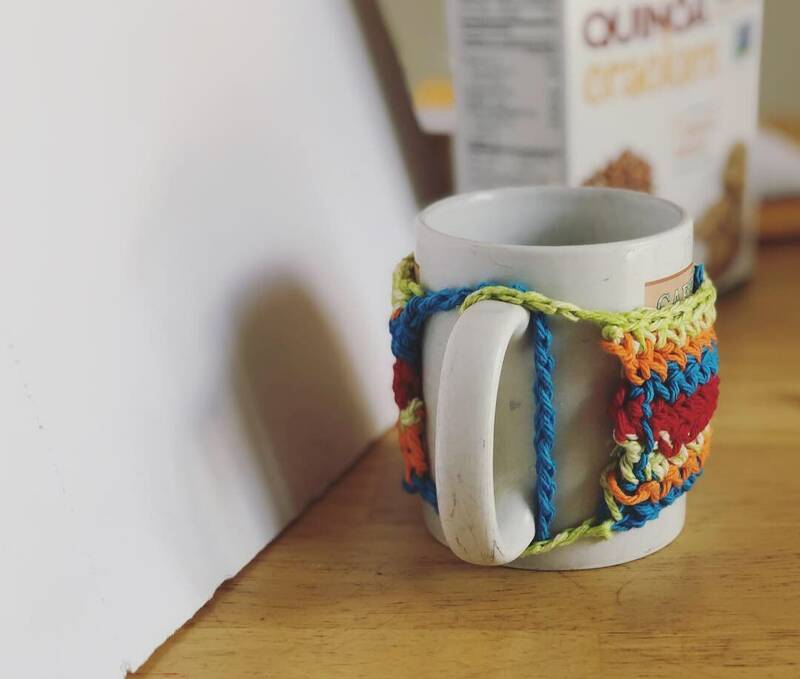 This crocheted cozy is great to keep your hands protected from hot drinks. It is reusable and therefore eco-friendly. 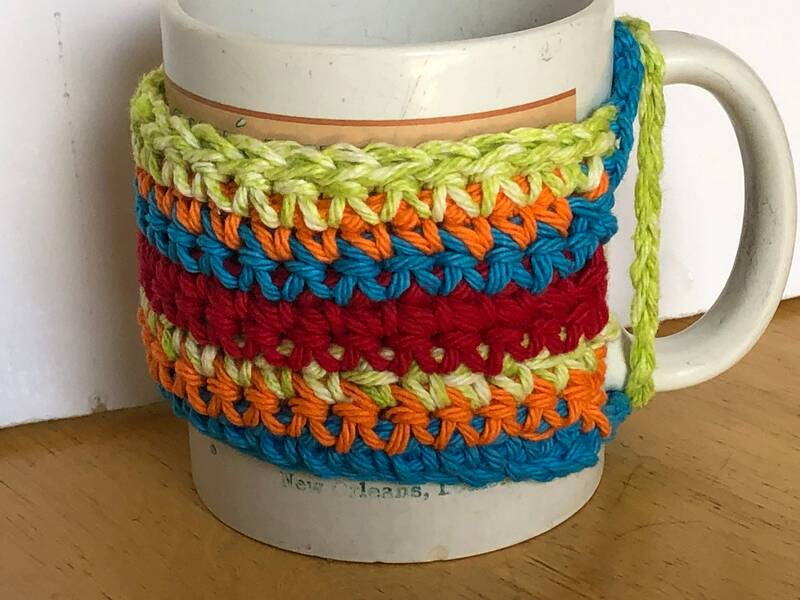 Summer colors were my inspiration for this bright lovely cozy. Colors used are blue, green, red and Orange. 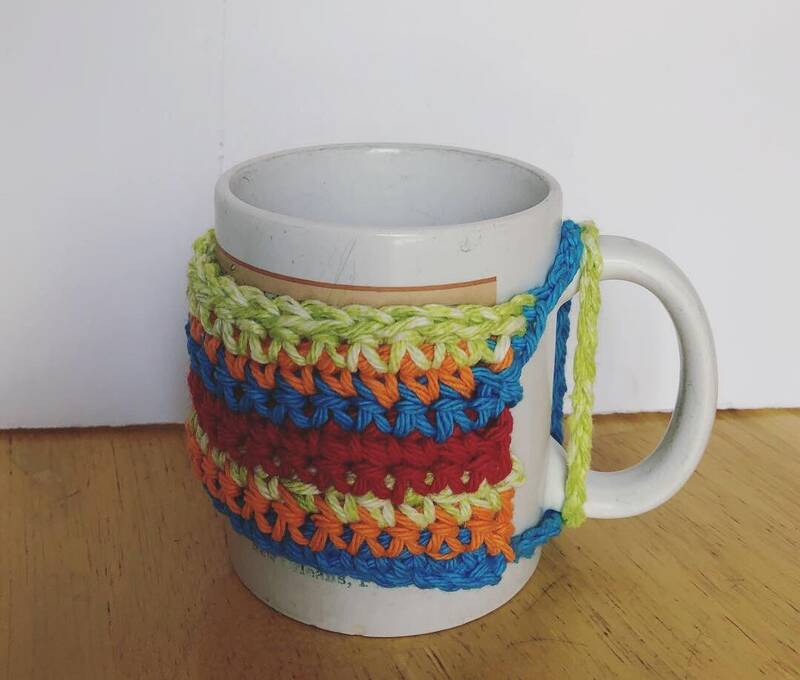 This cozy’s smart design closes by fitting the 2 ends against the cup handle. 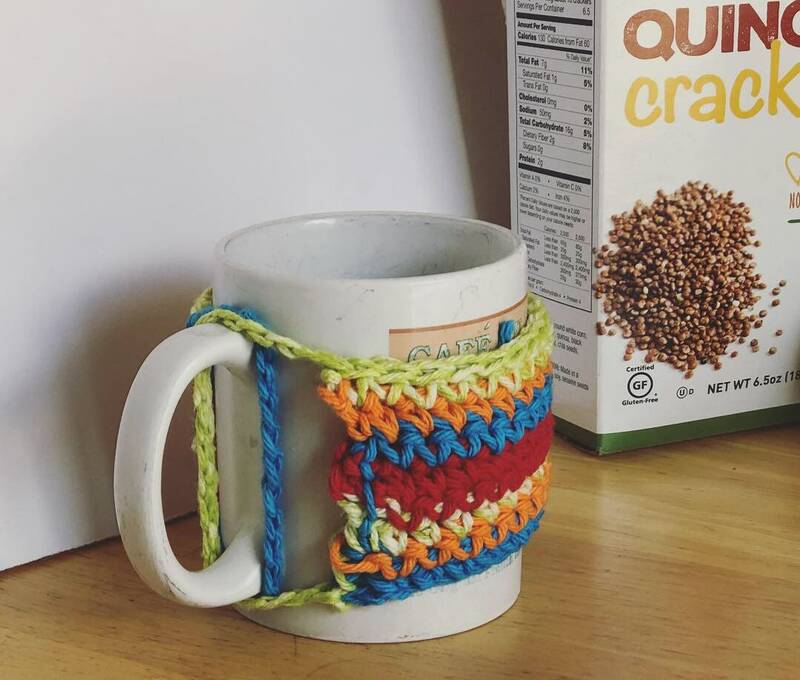 It’s very practical so you don’t need to worry about losing buttons or having to give up your favorite traditional cup with handle. 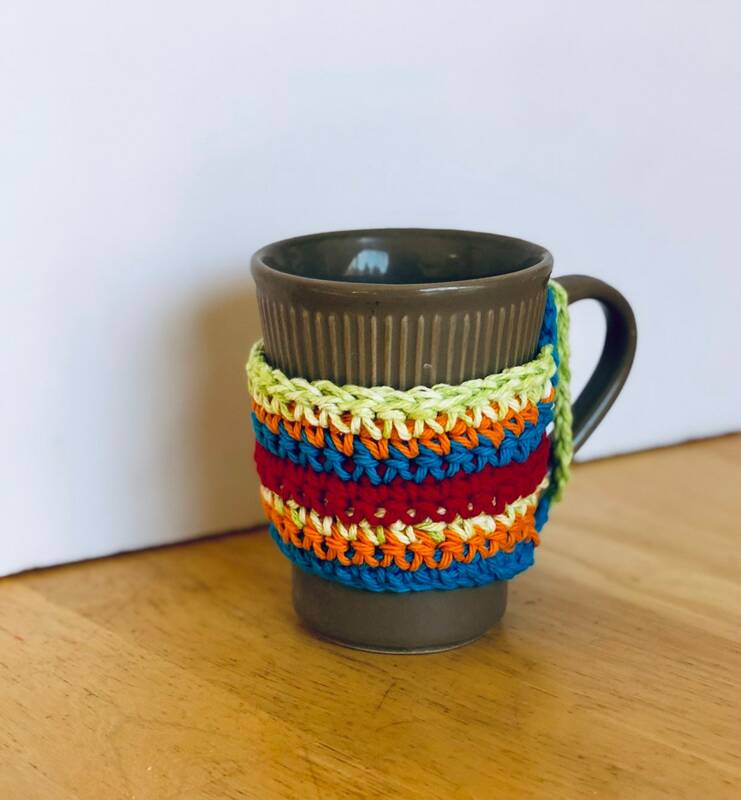 Please choose if you want this cozy in solid colors or in the multicolored combination shown in the picture. 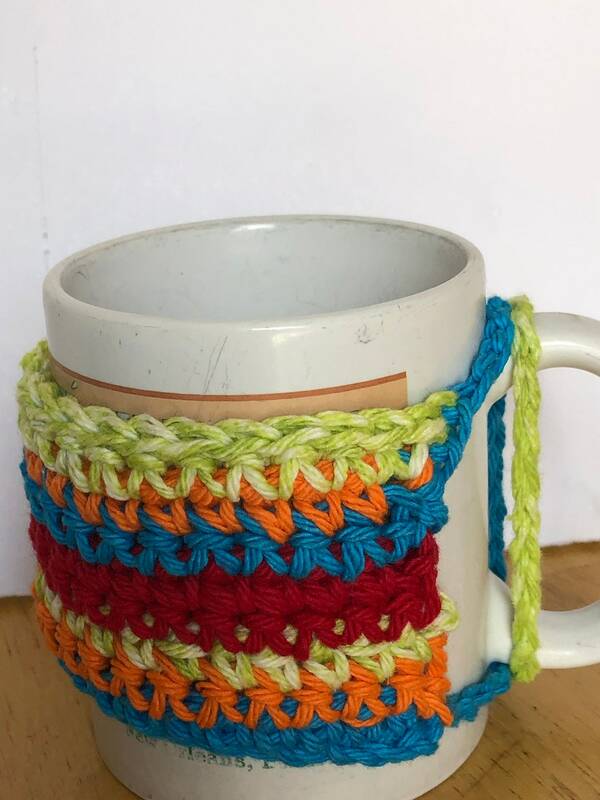 This item is handmade by me with 100% cotton yarn. Measurements: 8 in wide approximately by 3.5 in.